I was invited to participate in a tender of the “Chamber of Labour Vienna” (“Arbeiterkammer Wien”), who wanted to redesign the appearance of their youth department. They were looking for a new visual concept for their logo, information folder and other print stuff, and they also considered to change their claim. Unfortunately they didn’t commission me for the redesign, however I got very nice feedback, that the jury really liked the charm of my concept, but it wasn’t exactly what they were looking for this project. They wanted a cool new design, that approaches the young people of vienna, without acting on a temporarily trend, that could be “out” soon. 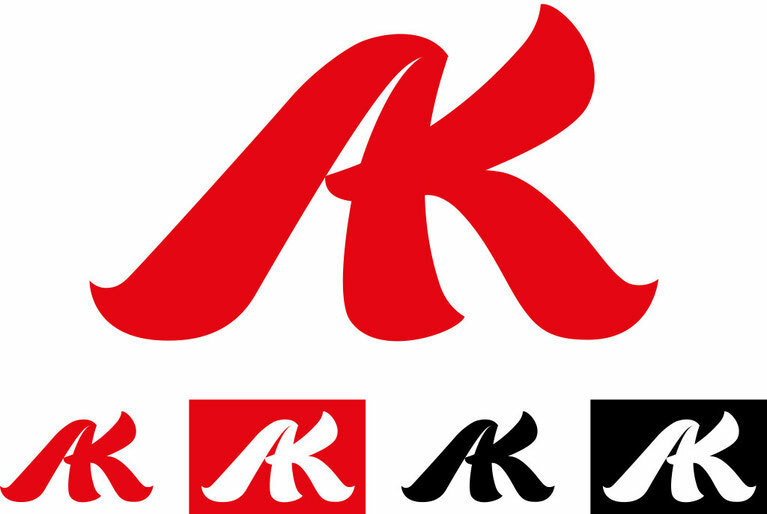 Their old design is very static, the logo is a connected “AK” (for “ArbeiterKammer”), but very geometric and clean. 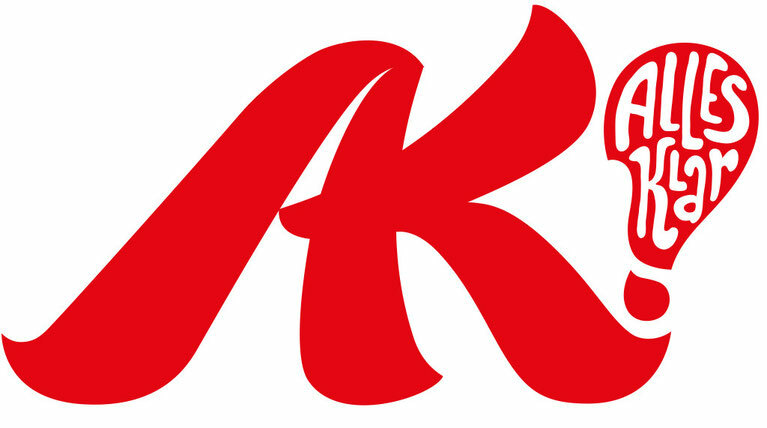 To bring a touch of youth and drive into this logo, I decided to make a brush lettering version of this connected “AK”. I wanted to connect the two letters by using the same stroke for the crossbar of the “A” and the arm of the “K”. The readability was a balancing act, but in the end it worked. 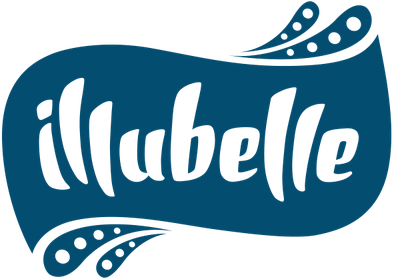 See here the positive, the inverted and the black-and-white logo version. 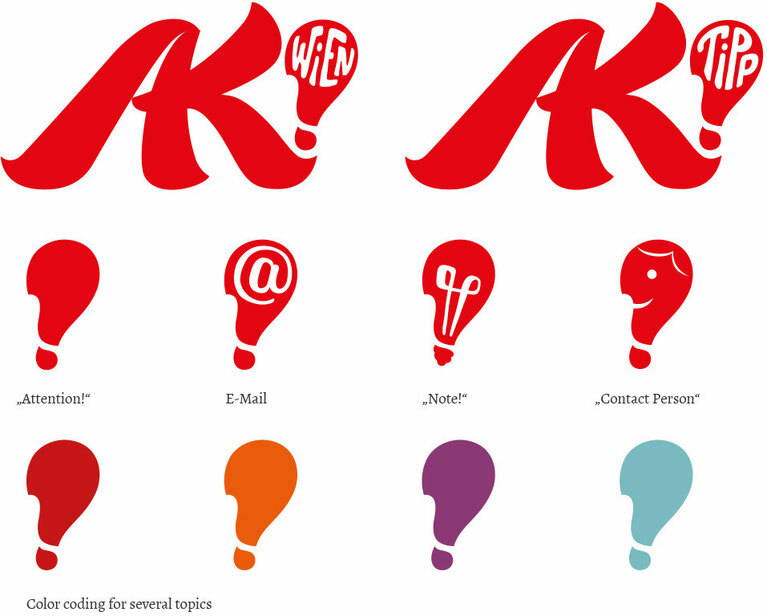 Another detail in this claim is, that its initials are the same as the two letters from the logo “A(lles)” and “K(lar)”, and furthermore, they rhyme (pronounced in German) “AK – Alles klar”, so it’s easy to memorize. This question-answer-schema was planned to be carried forward in the information folders. The “quesclamation mark” can be used in many applications, such as several logo additions, icons or color coding. The concept is supplemented by modern illustrations of young adults and their questions, such as “Do I really need a final examination for my apprenticeship?” or “Am I the type for a shared flat?”. The characters are developed out of the “quesclamation mark”, so they fit smooth into the concept. Their questions are in hand lettering speech bubbles, which give them a personal touch. With the uncoated paper background the solid vector shapes get a softer appearance. To create a folder draft I chose the topic “Lehrabschlussprüfung” (“apprenticeship final examination”). It seems that many apprentice see no sense in doing this final examination, and so the AK offer an information folder, that shows the benefit, gives advice how to be well prepared and how to pass the test. I chose a blue tone as a color coding for this topic – other topics would be assigned to different colors. 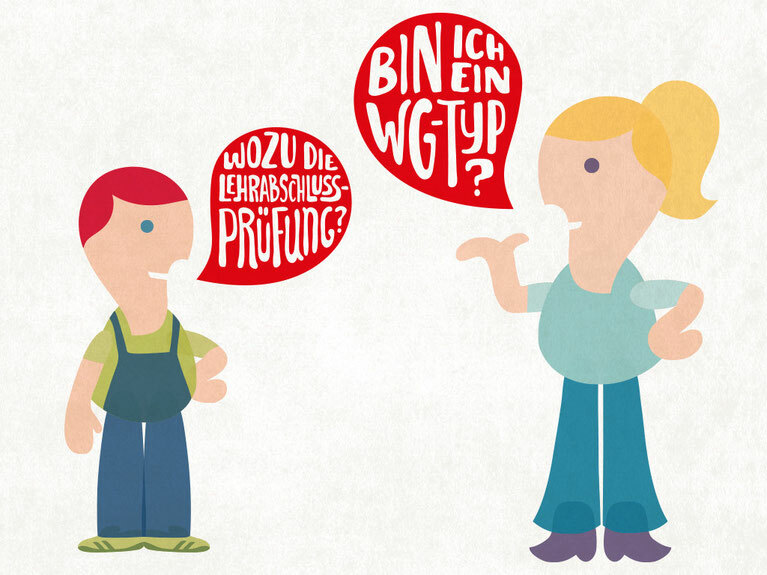 The speech bubble is a main element, that is carried through the design and shows the content in a question-answer-schema. They are good eye catcher as well. Hi there friends, nice post and fastidious arguments commented at this place, I am in fact enjoying by these. I like the valuable info you provide in your articles. I'll bookmark your weblog and check again here frequently. I am quite sure I will learn plenty of new stuff right here! Good luck for the next! Hey, thank you all for your very nice feedback! I'm happy that you enjoy my blog posts – I'll keep on writing! I have used so many instructions about arbeiter kammer department. They are all getting your resources to update different concepts and essay articles for all the college students. It might a chance to be brilliant content i likelihood Moreover really i may bring been searching similar this at risk articles for Comprehending around it. What's more i really reveled in once perused also assembled a tremendous information around it.